“The only thing wrong with this wine” laughed Warwick MD Mike Ratcliffe “is we misspelled the name.” But then I can never remember whether its Ratcliff or Ratcliffe. 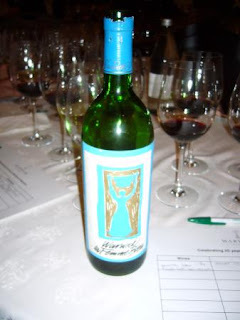 The wine in question was La Femme Bleu, a 1984 vintage 100% Cabernet made by mom Norma whose 25 years making wine at Warwick we were celebrating last Thursday at The Vineyard Hotel in Clairemont. The Vineyard is some way down the road to becoming the wine destination of choice for urban Cape Town. In fact so keen is GM Roy Davies, he expressed an earnest desire to host the Mother City launch of our People’s Guide, out in September. With Lady Anne Barnard’s 18th century vineyard at the bottom of the garden, this is an offer that is hard to refuse. Norma has always been in the vanguard of wine fashion and the spelling mistake, like printing errors on stamps, makes her wine and its label all the more collectable. 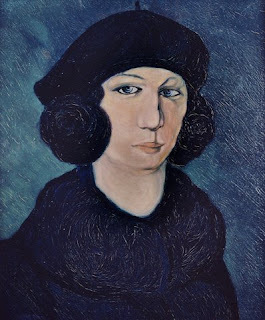 Of course if they’d called it La Femme en Bleu, the bleu wouldn’t have needed a trailing “e” as Picasso noted when he painted La Femme en Bleu au Beret a century ago. His great rival Matisse did a Femme Bleue although there’s much more than an “e” difference between the two paintings. Norma’s first vintage was actually a decade earlier. “In 1974 we copied Rustenberg and made a Cinsault/Cabernet blend. The wine was stunning but we decided to go the Bordeaux route and the 1984 Femme Bleu was aged in 100% new French oak at the exorbitant price of R184 a barrel.” When I asked my neighbour Adi Badenhorst, former winemaker at Rustenberg, what I should re-plant on Lemoenfontein, (my Paardeberg conflict of interest - not! ), quick as a flash he answered “Cinsault” - but then the Paardeberg is no Simonsberg. Heck I’ve even been asked to again judge the potjie cook-off between the two bergs alongside my personal hero Annatjie Melck in July. 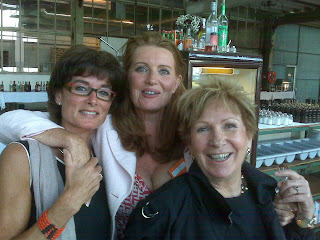 Cathy Moerdijk, Janna Rijpma & Norma Ratcliffe at the VINITES tasting in Amsterdam!! Dankie vir die wynproe gister. Hier is 'n wye hoek foto wat ek gister geneem het. Ever since Mike Ratcliffe talked me into buying a membership of the Warwick Wine Club two years ago, I seem to have a lot of this farm’s stuff lying around. I’m not going to stake a claim to being a Warwick boffin, but I can spot the Estate’s wine in most line-ups, just as I can tell my dog’s bark from 320 others running around De Waal Park. Of course, being somewhat intrigued by the wines from Simonsberg, Stellenbosch’s Pauillac, delving into my Warwich stash is always going to be more than just opening another bottle of something. The Cabernet Sauvignon and Merlot do not give as much heady fruit intensity as Kanonkop, Warwick’s one neighbour. Nor to these varieties portray the likeable leanness of Le Bonheur just up the road. For me the Warwick reds show wine’s ability to bear a seductive power. 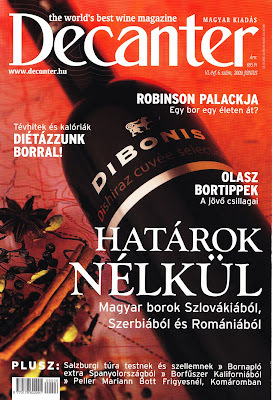 Tannins are evened out, but the presence is weighty and potent, without any hint of after-burn or over-extraction. Of course, a reason for this is the dominance of Cabernet Franc in the Trilogy Bordeaux blend. Having perfected Cabernet Franc, the farm is able to bring out the best in this variety, namely grace and poise enveloped by an assertive juiciness. For Cabernet Franc can be greener than a Kommetjie whale-hugger. I was thus not going to let the opportunity pass me by of attending a tasting to celebrate Warwick’s 25 years in the winemaking business, held last week in the Vineyard Hotel. I wanted to see where everything came from. The bash behind the stash. 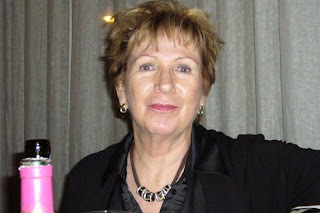 Norma Ratcliffe, Mike’s mother who placed Warwick on the wine map – amongst other noticeable achievements – led the assembled group of hacks and friends through a tasty line-up. Norma tells it all, her way. 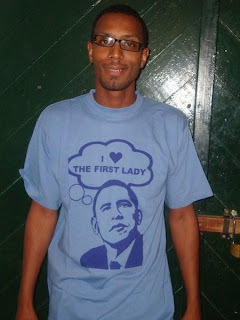 She is, after all, our Grand Dame. Okay, so first up was a 1984 Warwick Femme Bleu (sic), the first commercial wine made by Norma on Warwick. A Cabernet Sauvignon, this 25 year old model was in perfect condition. The colour was garnet. The nose honey-comb. Lean fruit on the palate, a hint of cedar. No oxidation or stuffiness. The 1986 Trilogy was similarly brilliant, although the addition of Merlot and Cabernet Franc to the Cabernet Sauvignon allowed for a tad more complexity and depth. Once again, it was crystal clear on the palate and the good acid ensured it was still as tight as an Eric Clapton guitar string. A lot of the anti-Pinotage gang rip into anybody willing to state that a Pinot Noir character can become evident in Pinotage. Well, Norma put up a 1997 Warwick Three Cape Ladies (Pinotage blend) which almost knocked one over with the whiff or pure Burgundian forest floor, wet haystack and Algerian vineyard worker arm-pit. This was more Pinot Noir here than in a lot of Pinot Noirs themselves. Of course, the wine was huge in the mouth, making an assertive Pinot Noir entrance and ending with ripe cherries and hints of Fortis syrup. Heading onto the 1995 Cabernet Franc and the 2001 Cape Winemakers Guild Femme Bleu (sic), it was enormously satisfying to begin recognizing the stylistic traits of my current, newer Warwick wines. Looking at my 2006 Trilogy and Cabernet Franc, it appears the wines are actually fuller and more voluptuous in their youth. After a couple of years, the fruit and tannins separate giving the wines a different structure all together, whilst maintaining pureness and depth. The evening ended with dinner, and I enjoyed more of the Chardonnay – albeit a younger model that, unlike the 1998, hadn’t been stirred with Norma’s golf club – and Warwick’s wonderfully supple Pinotage. This was definitely the wine event of the past year for me, for you can haul out the best wines in the house, but the event don’t mean a thing if it ain’t got that swing. Keep swinging, Norma, because you’ve got it. 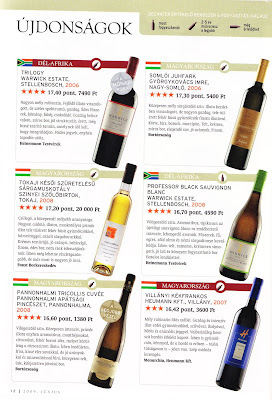 Warwick scores highly in DECANTER Magazine - in Hungary!